A large unused vintage Hallmark Christmas card with a glossy image of a silver poodle all decked out for the Christmas holidays with a rhinestone collar and springs of holly in her hair. 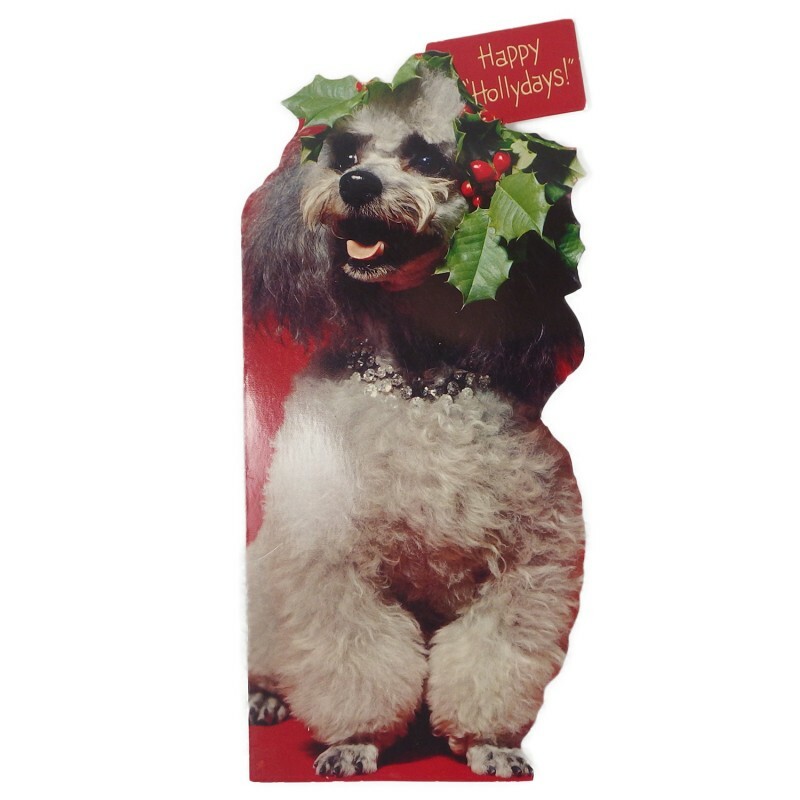 The gift tag-style label above her head sends greetings for Happy 'Hollydays!'. Inside, the card reads 'To somebody nice in so many ways! Merry Christmas Happy New Year'. 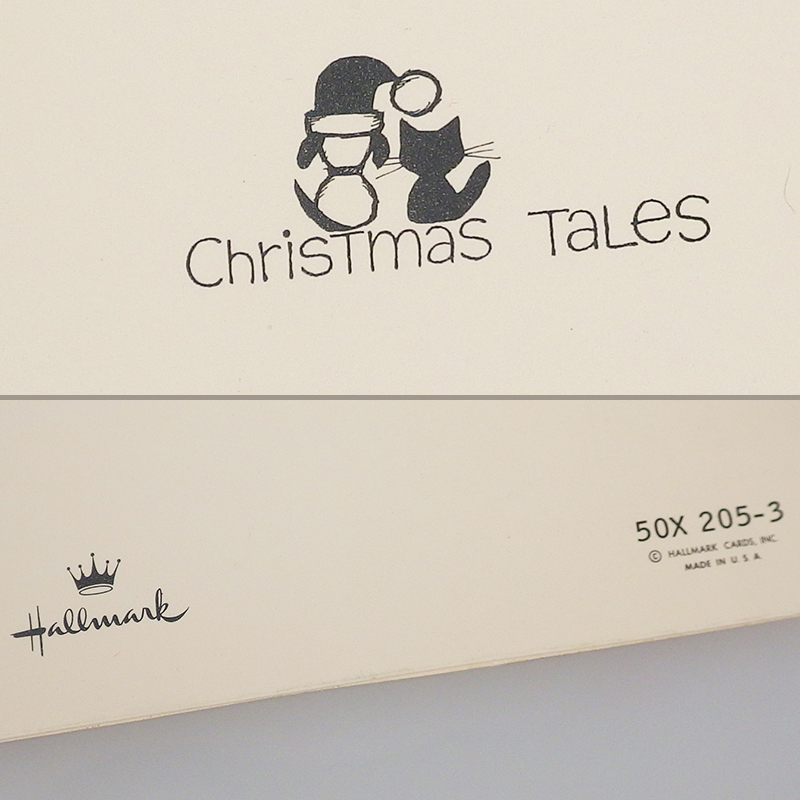 The back of card is marked as this being a Christmas Tales, with a Hallmark mark and 50X 205-3 / © Hallmark Cards, Inc. / Made in U.S.A. Given its style and original price, this card likely dates to the 1970s. Card is in great unused condition with its original envelope. There is a tiny speck at the poodle's feet where the red gloss finish has been scratched and there's slight wear here and there to the edges, but no writing, tears or stains. Measures approx. 10-3/4 inch long and 5 inch wide.